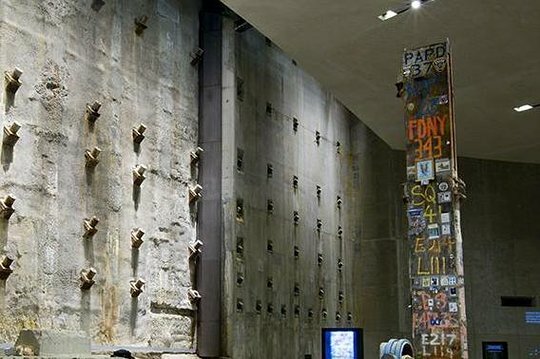 Start your visit to the 9/11 Memorial Museum with a self-guided tour of the exhibitions and multimedia displays. 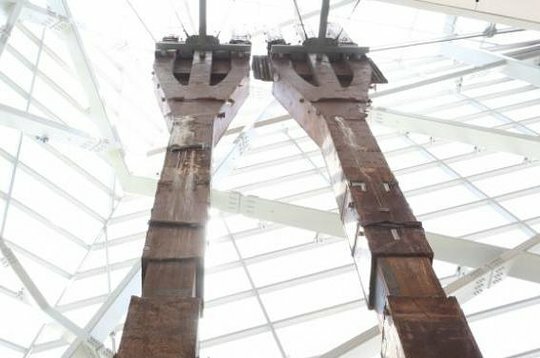 The museum itself is located below the 9/11 Memorial, the reflecting pools that are the footprints of the Twin Towers that fell due to the devastating terrorist attack in 2001. With your timed admission, you have guaranteed entry to stay for as long as you want. It is suggested that you take at least two hours to wander the museum. This admission saves you time by giving you direct entry into the center with your mobile device. Be sure to to download the free audio guide to your Apple or Android device so you can get the most out of your museum experience. 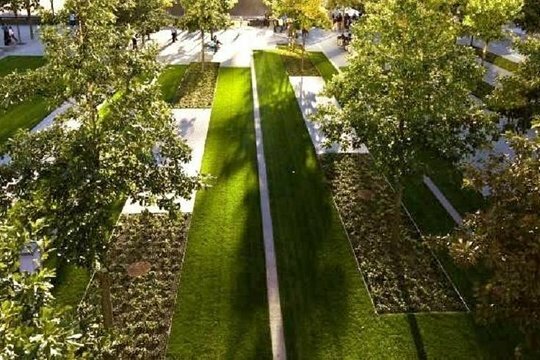 The museum also includes a pair of main exhibits: a memorial exhibition called In Memoriam, in honor of the people who lost their lives that day in 2001 as well as the people who were killed during the World Trade Center 1993 bombing. The second exhibition is September 11, 2001, a three-part exhibition that tells the tale of the day and analyzes motives for the attacks. It also shows the aftereffects of the attack and how the event changed the world, both locally and globally. This museum experience brings out the emotions in the guests who visit. 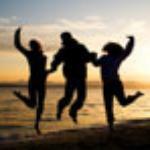 Get ready to hear the stories of loss and sadness, of compassion and recovery, as you explore the space. “Comeback Season: Sports After 9/11” is a new special exhibition opening on June 27 at the 9/11 Memorial Museum. The exhibition explores how sports leagues, teams, athletes and their fans helped to unite and console the country as we grieved after September 11, 2001, and how sporting events gave us a reason to cheer again. The exhibition shows the significance of sports in the lives of victims of the 9/11 attacks, whether as fans or amateur athletes, as well as how their loved ones found ways to remember them through sports. Please visit the entrance to the Comeback Season: Sports After 9/11 exhibition located inside the museum learn about your entry options. Larger than I expected. Very moving. We used the CityPass for discounted admission - always the way to go if you have time. The museum is larger and more in depth than I anticipated. The personal touches for each victims family to share was my favorite part. 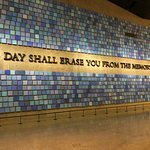 Get quick answers from 9/11 Memorial Museum Admission staff and past visitors. Are there wheelchairs at the site for rent or use? The entire museum is accessible. They have wheelchairs (although I did not see them) but only a limited number. They are free and on a first come basis so you cannot reserve them. You may want to call the Museum to ask if there are times when they are not being used or plan to get there when they open. are there wheel chairs available at the site. We will be travelling to NY in Oct from Sydney, Aus. As we are limited for time would you recommend pre-purchasing tickets to save time or are the queues relatively short. Buy your tickets in advance. It is the BEST thing to do.